This decorative packing tray is made of wood and is covered with unique patterns of red and green. 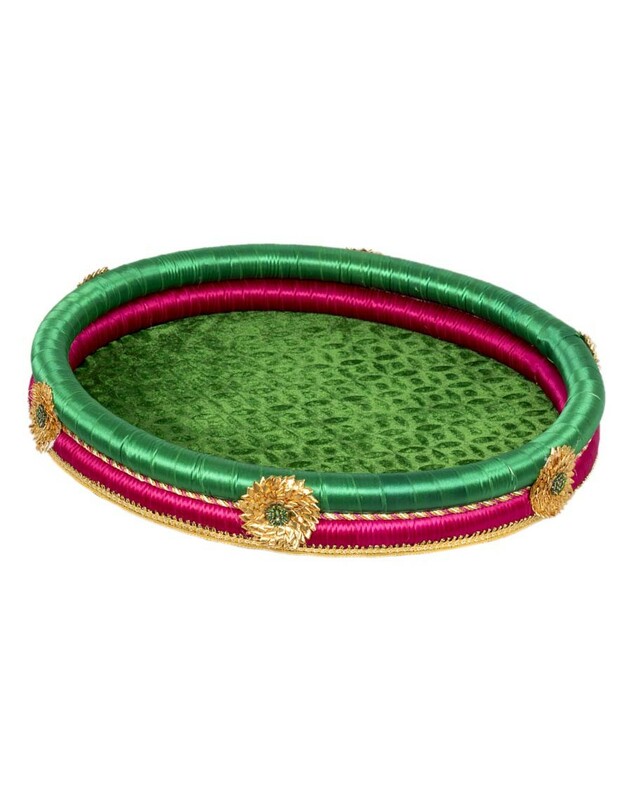 It can be used for trousseau packing during wedding ceremony. The tray can be covered using a plastic sheet to avoid collecting dust. It can be used for packing dry fruits also for gifitng.